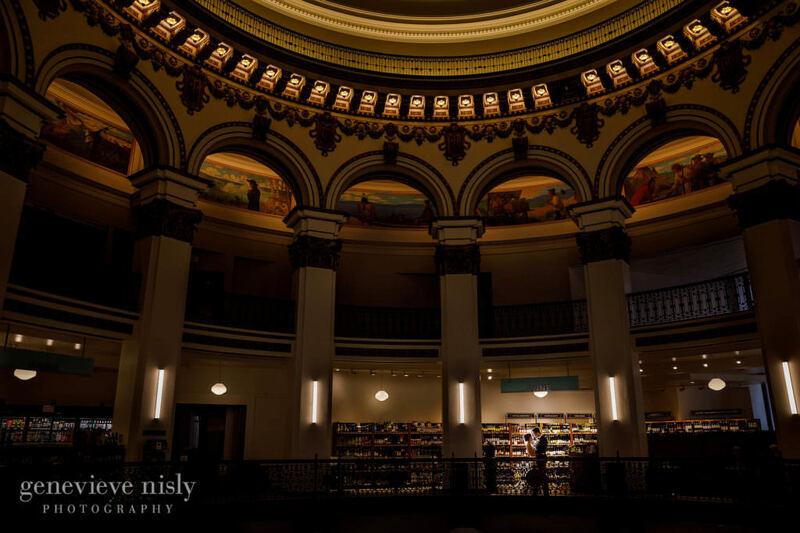 A grocery store downtown Cleveland might be an unusual spot for wedding photos but Heinen’s sits in the historic Cleveland Trust Rotunda Building. This building is a striking example of early 20th century architecture on the Corner of East 9th street and Euclid Avenue. Like what you see? Drop us a line!